Reiki is a non-invasive healing process that gently replenishes energy, opening the receiver up to healing on all levels of being: body, mind and spirit. The client lies on the massage table fully clothed. Light hand placements on and around the body help promote a deep relaxation, which allows the body’s own intellect to take over and receive what it needs to heal. Reiki energy encourages individuals to let go of tension, anxiety, fear, or other negative feelings. A state of peace and well-being emerges. At the end of the treatment, one feels refreshed with a more positive and balanced outlook. Reiki is very gentle and beneficial when dealing with both physical and emotional pain. 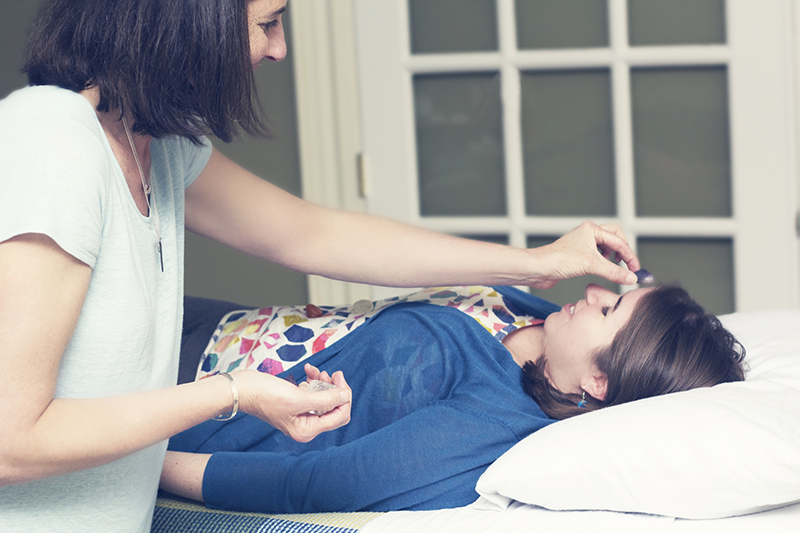 Reiki offers relief of both physical pain and emotional distress, and aids in the healing process. Reiki helps to speed up recovery from surgery or a long-term illness. Reiki relaxes and calms, reducing stress so that a state of well-being emerges. Reiki is recommended for ongoing health maintenance. It promotes strong health and prevents illness. Reiki energy medicine is always for the greater good and never harms. Marci is a Reiki master teacher with many years of meditation and shamanic training. All of these ancient healing art forms are apparent in each treatment providing the recipient with a calming and transformative experience. In addition, Marci’s deep compassion and highly-tuned intuition provides each person with valuable insights into their own healing.